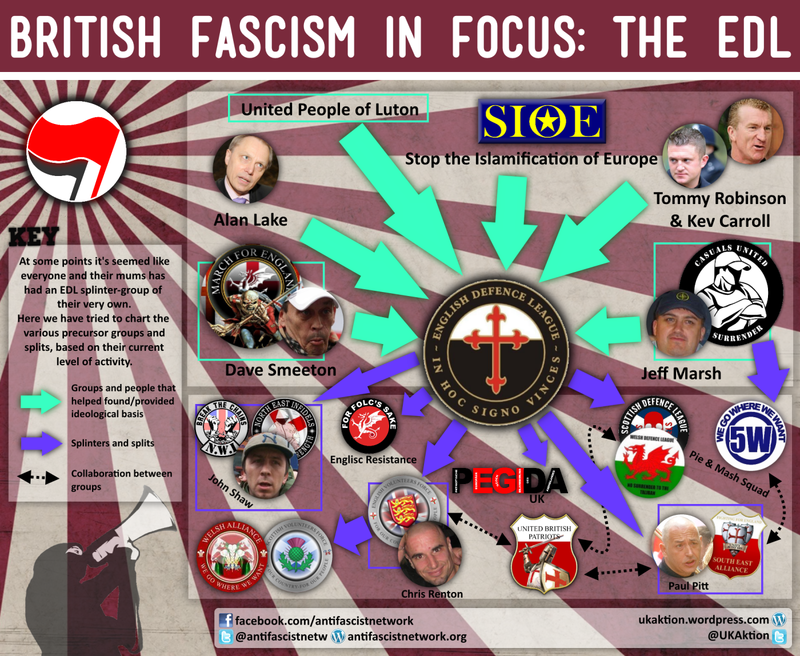 This is the second in the series of UK Aktion infographics looking at the British far-right. This time: the EDL in focus. We have tried to illustrate the main groups and people that went into founding the EDL, as well as the larger, and more active splinter-groups to come from them. Obviously, we could not include every group but this is an attempt to chart the main ones. Below is a high quality .PNG file. Please feel free to download and share.